It’s time to start putting those New Year’s fitness resolutions to work again. If you were lucky enough to receive a “fitness gift” as I recommended in my last article, now is the perfect time to put it to good use. Did you know fifty percent of people who decide to start exercising will drop out within the first six months? Why does this happen? Because it does take a little effort and worth-while time to develop a habit. I have a few ideas that can set you up for success this year. Use the SMART Principle to set Goals: (Specific- Measurable- Attainable- Realistic- Time oriented) When setting your goals, be sure to consider all five of these principles, especially the time oriented one. If you don’t nail down a time frame, you are not holding yourself accountable and that’s when your exercise routine begins to fade away. Keep an Exercise Journal: Writing down every workout may seem like a lot of work, but it will pay off in the long run. This provides a visual so you can actually look back at all the hard work you put in and bring you a sense of pride and accomplishment. Your journal should include specific things such as your goals, the time and date of the workout, list of exercises or lifts, amount of weight used, sets, repetitions, duration and intensity of your workouts, as well as how you felt that day. Another great asset of keeping an exercise journal is that you can track your progress (or lack of progress) to help you stay on track of your goals. You may discover that a change is warranted if you are not progressing toward your goal and that’s ok.
Expect Bumps in the Road: Nobody is perfect. Don’t get down on yourself just because you missed a few workouts. Whether it’s due to sickness, injury, or laziness, there will be bumps in the road. I can guarantee that these things will plague you once in awhile. There will be days that you will not want to workout, but my next suggestion can alleviate this problem. Exercise with a Friend: This is the easiest way to stay on track. If you know that your buddy is waiting for you at the gym, the more likely it is that you will actually show up. You can hold each other accountable by motivating and inspiring one another through every workout. No Excuses: Identify any possible barriers and find solutions to break through them. Pack workout clothes the night before so you don’t forget to take them with you to work in the morning. The most common excuse I hear is, “I’m too busy to workout.” Everyone has 24 hours in a day, so it’s a matter of organizing and prioritizing your schedule. Exercise in the Morning: I prefer morning workouts because it eliminates the, “I’m too tired after work” excuse. Exercising early can help wake you up, sharpen your mind, and prepare you for the day. You will also have peace of mind knowing that you won’t need to workout after work. Another common excuse is, “I’m not a morning person.” The solution to this barrier is simple. Go to bed earlier! 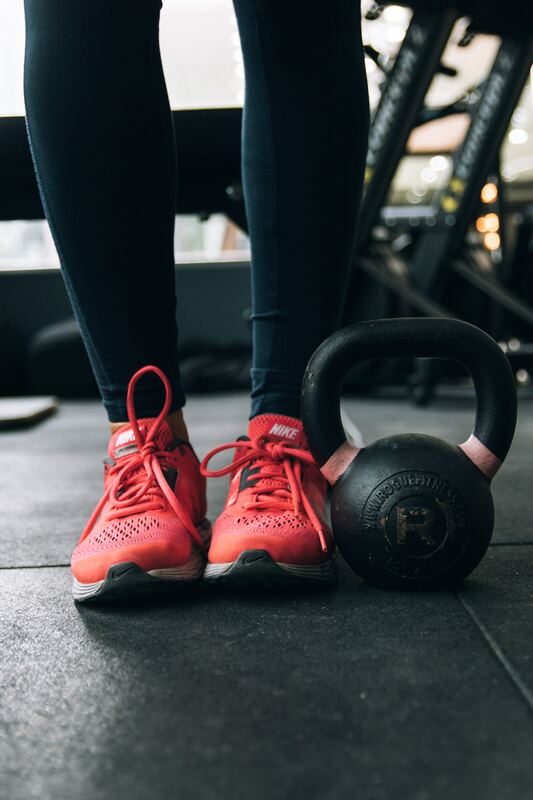 Try Personal Training: Personal trainers can help you set realistic goals, hold you accountable, provide safe and effective workouts, and keep you motivated through those bumps in the road. They can help you identify barriers and provide solutions to transform you into that regular exerciser you always dreamed you would be!